The choices players were presented with in Red Dead Redemption were rather binary. John Marston was either an outlaw through and through or relatively honorable. With Red Dead Redemption 2, Rockstar intends to muddy the waters a bit. One way the developer will go about this is in presenting players with “hundreds of decisions” to make. This game feels closer to a living place than we have ever managed to achieve before, and feels natural in keeping with the pace of America in 1899. 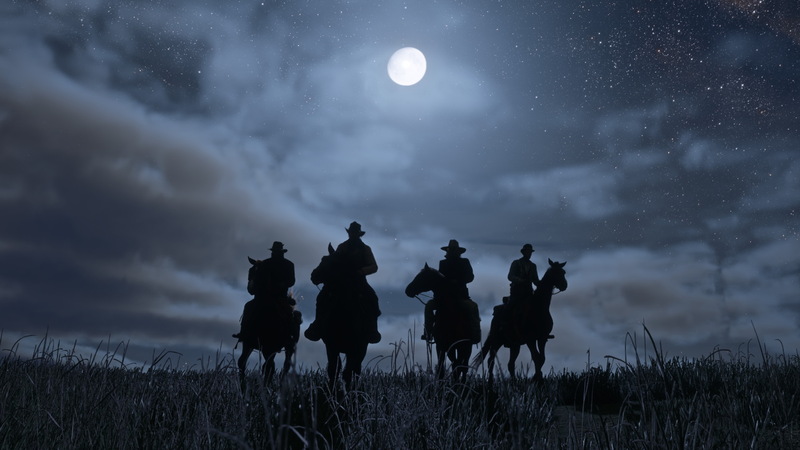 As big as Red Dead Redemption 2 is, there’s an intimacy to this game that’s not easy to create in a world [like GTA’s] that you speed through in a car or fly over in a plane. We wanted RDR2 to feel a lot more intimate and grounded, so it made sense to push that realism as far as we could while maintaining the sense of fun. We want to create the illusion of realism without being too punitive to the player. While there’s an overarching story, the game is filled with choices for Arthur to make that will allow you to decide what kind of outlaw Arthur is – whether he’s an honorable outlaw or someone less honorable is up to you. The world will respond to these choices in ways both big and small, and hopefully when players begin to share their experiences they’ll start to realise just how different they are from one another, depending on the hundreds of decisions they made across the course of the game. If these decisions inform the overarching narrative, the developers aren’t saying. Luckily, the wait to find out for sure is quickly coming to a close. Red Dead Redemption 2 launches on the PlayStation 4 and Xbox One on October 26, 2018. The recently revealed beta for Red Dead Online goes live sometime in November 2018.